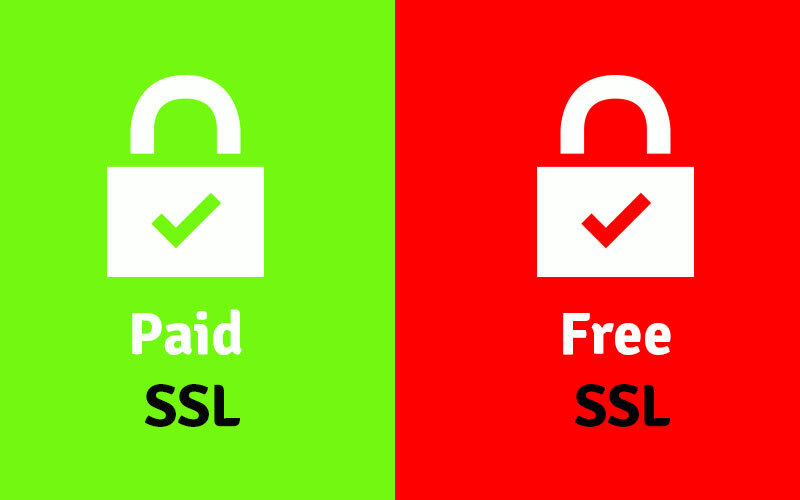 The key differences between Free vs Paid SSL Certificates to come down to the level of trust behind the certificate, and the features included in each type of certificate. All free SSL certificates are Domain Validation certificates. Domain Validation (DV SSL) certificates provide the lowest level of certification available. Heightened security – Any SSL certificate allows you to use the HTTPS protocol throughout your website. Less hassle – Adding and renewing certificates can be a bit of a process, but Let’s Encrypt keeps things simple. SEO advantages – Search engines such as Google are strongly encouraging website owners to use the HTTPS protocol on their sites. In practice, this may translate to better SEO results. Free SSL providers only offer Domain Validation certificates because these are cost-free and can be issued quickly. While this can be a great fit for a small website or blog, it’s not the best option for larger websites or those collecting personal information about their users. Free Certificates are domain validation only which means they don’t certify the identity of the website owner, they simply ensure a secure connection. Customers can’t be sure of the integrity and trustworthiness of the website owner. If you need to secure credit card and personal information on e-commerce websites, free certificates aren’t the answer. It’s important your customers trust your business is safe enough to hand over these details. To gain this trust, you need a certification of your authenticity, which you can only get with a (paid) Business Validation or Extended Validation SSL Certificates. As a consequence of having a basic free SSL certificate, your customers may not trust you. It might appear that you aren’t willing to invest in an SSL Certificate issued by a reputable Certificate Authority. Any lack of trust from your visitors will affect your reputation and profitability. Most free SSL Certificates are issued for around 90 days which means they need to be renewed each time this short period lapses. While domain validation certificate verifies the consent of a domain owner, they don’t make any effort to verify who the domain owner is. Since the real identity of the website owner is not validated, it’s not mentioned on the certificate. Due to the manner, the domain is validated, this certificate is open to man- in- the middle and phishing attacks. For this reason, major players in SSL don’t supply domain validation certificates. Paid certificates are issued and signed by the most trustworthy certificate authorities (CA). You either get it directly from the certificate authority’s website, or you can purchase conveniently from us. 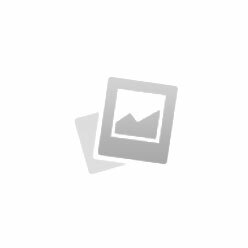 Certificates issued by reputable authorities make a website seem more reliable. With paid certificates, clients may report any issue they come across to their CA, which is obliged to promptly investigate them. As a result, clients feel safer having their backs ensured by trusted CAs. Paid SSL Certificates are issued in all three validation types — Domain, Extended, and Business Validation. There are even types based on the complexity of the website, for example, One-Domain, Wildcard, and Multi-Domain Certificates, and Code Signing SSL Certificates to secure downloadable software and digital goods. Paid certificates are issued for up to three years. This means your online business will stay secured for a long time without you having to concern yourself about the impending renewal of your certificate. Conveniently, premium SSL certificates are compatible with any hosting services as well as self-managed or dedicated servers, making it easier to set up. In any situation where you expect users to feel comfortable entering their credit card details or giving out personal information, paid SSL is a must. A premium SSL seal (green browser bar or padlock) will reassure consumers that they are doing business with a reliable company. Online shopping has replaced street shopping. People now resort to internet to buy their daily needs. In the process they share their important personal and account information which is vulnerable to misuse if not protected adequately. Thus, to make online shopping a pleasurable experience it is important that the e-commerce website should be safe and fully secured. SSL certificate is one such potent tool that bestows cent percent safety and security to websites. Take care of day to sales and marketing campaigns, both online and offline, be available on chat for the clients and help them choose the right product. Generate leads from existing client base and through researching on internet and relevant forums. Your organisation was one of the pioneers when it came to investing in state of the art-technology-technology and harnessing the power of the world-wide web. Your organisation reaped the benefits associated with having a dedicated server. Now, that appears to be a thing of the past. The system is old and has become sluggish. Every now and then, an employee complains about the lack of reliability of the system. The IT team is working overtime to keep the system up and running. The crux is that, the once blue-eyed system, is leading to a dip in efficiency. As the custodian of the interests of the organisation, you feel that the organisation will experience an outage in the near future. The world is literally shrinking in size as people get more opportunities and faster means to communicate with each other. Businesses are thriving as loads of information can be exchanged in quick time. The Google Business Emails have emerged as an important tool of communication. The novice considers Gmail and email as synonymous. To be candid, Gmail Business Emails boast of a host of features that make it stand apart from an ordinary email service. To say the least, Google Mail is a wonderful tool to manage the information overload that we encounter on the World Wide Web. 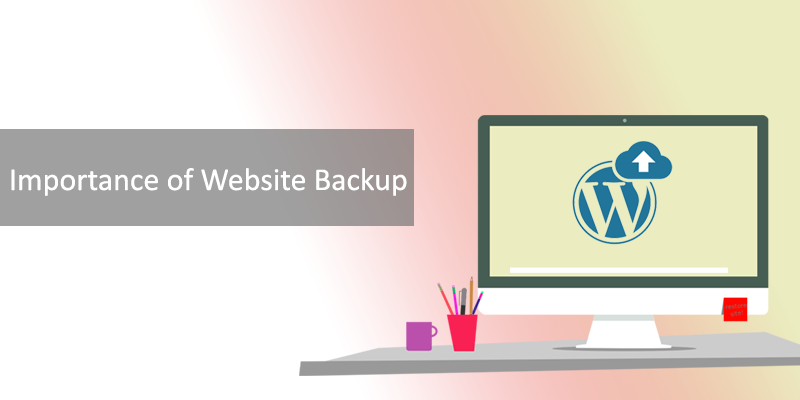 Importance of Website Backup – The world is so enamored about being online these days. Maintaining a web site, sending and receiving emails from suppliers and distributors, interacting with customers through digital media are commonplace for any business. In addition to this rush to create, maintain and upload a good website, search engine optimization (SEO) remains top-of-mind for most website owners. Secure Encrypted Email Services – In the present day competitive world, the speed of flow of information is important. Equally, rather more important is that this information remains secure. There are umpteen cases where confidential information is inadvertently sent to a wrong recipient or some unscrupulous element hacks email accounts and misuses the information. Normal emails are extremely quick and convenient source of communication, but alas, they are not top-notch when it comes to security. Secure emails fill in the blank and relieve the user of the tension of hackers.